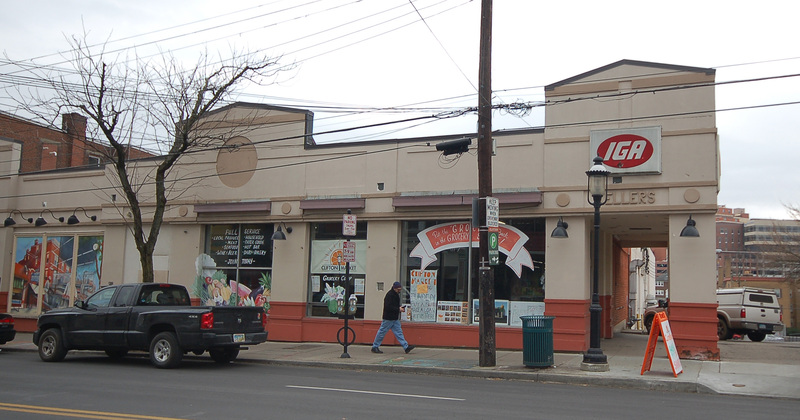 After a hard-fought fundraising campaign, Clifton Market is expected to begin construction at the end of this month to convert the former 22,000-square-foot Keller’s IGA into a cooperative grocery store. Incorporated in January 2014, the group behind Clifton Market successfully purchased the former IGA in April 2015, after a year of negotiations and challenges. Since that time, the group has raised money by selling ownership shares, acquiring two loans totaling $3 million to cover the costs for the building’s renovation and purchase of equipment, and securing a 12-year tax abatement from the City of Cincinnati that is valued at $1,063,000. When the IGA closed in 2011, Clifton and other nearby neighborhoods were added to Cincinnati’s collection of food deserts – places where people are unable to easily access a full-service grocery store. Following the store’s closure, Clifton residents met and decided to find a way to bring a grocery store back to the neighborhood. According to Marilyn Hyland, a Clifton Market board member, the group of citizens decided that a co-op model would be the most effective, allowing the group to pool their money in order to accomplish their common goal. Hyland explained to UrbanCincy that the IGA closed, in part, due to problems stemming from the Great Recession, but that the grocery store was still doing around $200,000 in sales a week in its final days. Clifton Market’s grocery market analyst, Keith Wicks, says that he predicts the new store will draw approximately 15,000 people a week, while also creating 35 new full-time jobs. While there are a number of other grocery store projects either underway or in planning stages in Corryville, Northside and Avondale, Clifton’s store is expected to be bolstered by its proximity to high population density, along with the University of Cincinnati, Cincinnati State Technical & Community College, and Hebrew Union College. Other neighborhood leaders, meanwhile, are excited for the additional foot traffic the store will bring to the historic business district, along with the reintroduction of local and organic produce to Ludlow Avenue. “The amount of activity that will flow through the market will aid other Ludlow Avenue businesses in attracting customers, from the surrounding neighborhoods and beyond, into our business district,” said Brad Hawse, a member of the Ludlow 21 working group. Hawse says that the group is looking forward to increased development in the area as young Americans continue to choose walkable, urban neighborhoods as their preferred locations to live, work, and play. The development team says that they are currently waiting on their building permit to be approved, and hope to begin renovation work by the end of February. If all goes according to plan, Clifton Market is expected to open near the end of summer.